Whilst we take great pride in our customer service, we also owe a large part of this award to our renters past and present. 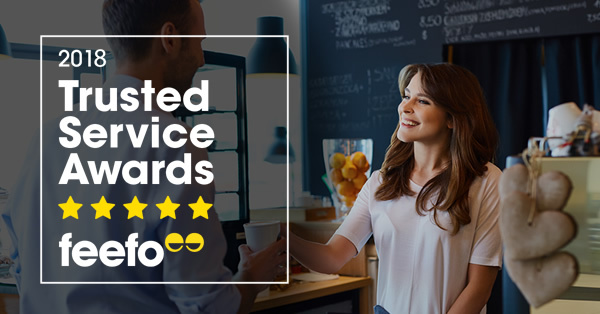 Every Feefo review we receive helps us improve our service, and ultimately, allows us to bag our renters their dream holidays. To celebrate our recent win, we've rounded up some of our top 5 star reviews. We hope this will give you a bigger picture of the gold standard we aim for at Clickstay and show you how we could help you find your next perfect holiday. Perfect service every time! Only a call away if you need anything. This is the second time I’ve used them in 6 months! Excellent service - I have used the company for our last five holidays. Very easy to use and much better experience than I have had with other companies. Great service - as the first couple of properties were unavailable during our dates, their advisers called me and helped us to find properties that were available. Always a prompt and friendly reply. Updates on our accommodation. Brilliant website which is easy to navigate. Very clear booking system. This is the second time we have used Clickstay in the past 6 months. Our experience was so good the first time, that we thought we would try again. It was just as good the second time around. It is truly so easy to use the website. You choose a house/pay deposit and when the time comes to settle your account - you receive a friendly reminder. Within minutes of us paying, there was an email providing all the details and codes for our villa, so we had nothing to stress about! Very easy to book online, with quick response times. Top notch! Absolutely seamless, as it should be managed. Everything was as described and went without a hitch, which is just what you want when you go abroad. Good communication. The website is really easy to use. Lots of properties to choose from and the search facility allows you to find the perfect villa for your needs. Arrangements for making payment were really simple and we were provided with lots of useful, detailed information about the villa once final payment was made. I would definitely recommend Clickstay and will probably use them again in future. *Dabs eyes with handkerchief* - you like us, you really like us! A big thank you to the guys over at Feefo, and of course, our renters past and present. Here's to more fantastic holidays! We'd love to know what is important to you when booking a holiday - let us know in the comments. If you're feeling inspired, we have villas scattered all around the world.